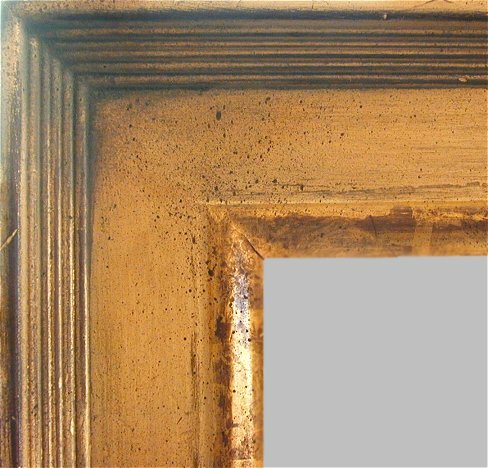 The oil-gilding process uses a gilding adhesive that is linseed oil-based. 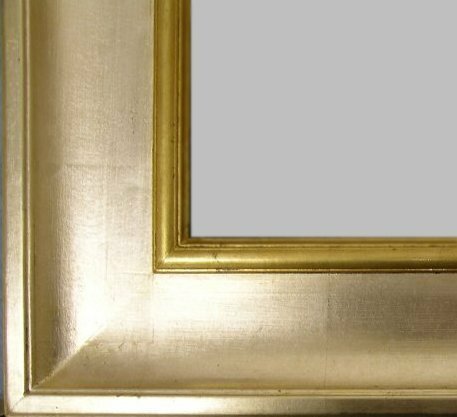 Oil gilding is our "default" way of applying metal leaf and karat gold to frames. We also offer water-gilding, available only in karat gold. 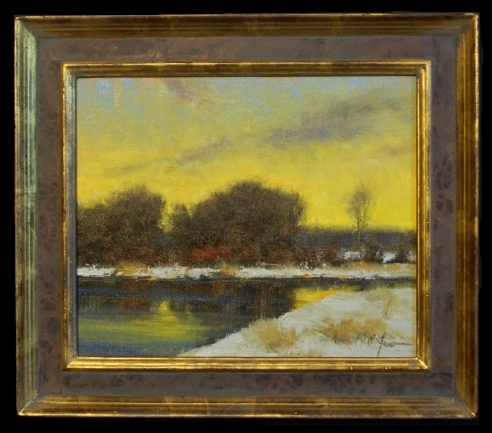 Oil gilding has a more solid, heavier look than watergilding. 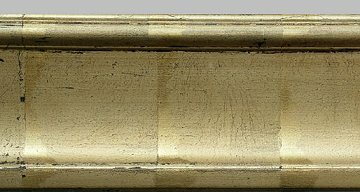 See the last picture on this page for a water-gilded frame, for comparison. 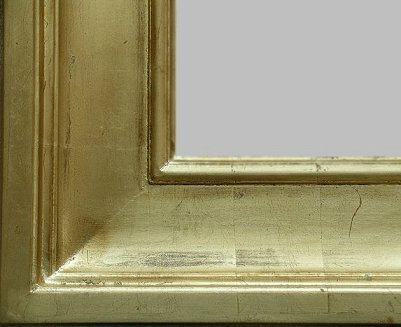 Our gilded finishes can be antiqued and toned to enhance your painting. Please call us for details (719.242.8482). Florence Wide in our standard gold finish, slightly warm patina, and light antiquing. Florence in gold over brown with simulated lay lines. Florence in sterling silver with light warm patina. Verona 5 in Italian Finish. For comparison: a water-gilded 23kt gold Verona2 with elm burl panel and Italian Finish. 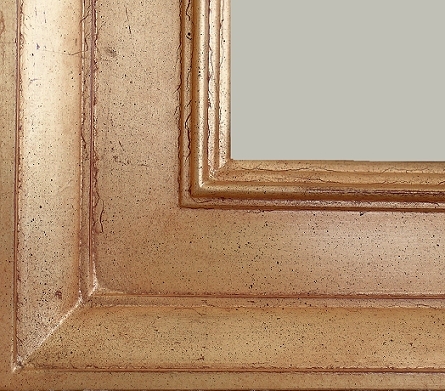 Note the softer, natural lay lines that appear when the frame is rubbed.